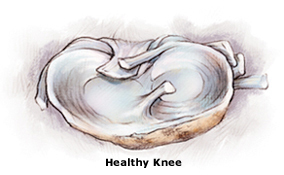 The knee is the largest joint in your body and it is susceptible to injury. Because the knee is a complex joint, made up of many parts, there are numerous things that can go wrong. Knee damage is commonly caused by injuries to the joint. 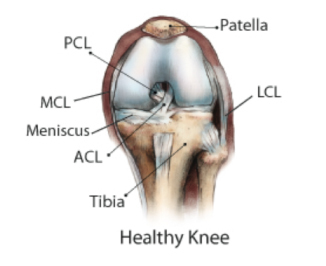 Symptoms of a PCL tear can vary depending on the instability in the knee. Patients usually see swelling in the back of the knee and bruising 24 to 36 hours after the injury occurred. The other major symptoms of a PCL tear include pain, excessive swelling and chronic instability. The MCL connects the femur and tibia on the inner side of the leg and resists forces acting on the outer side of the knee. The LCL connects the femur and tibia on the outside of the leg and resists forces acting on the inner side of the knee. The two ligaments create support and stability for the knee. 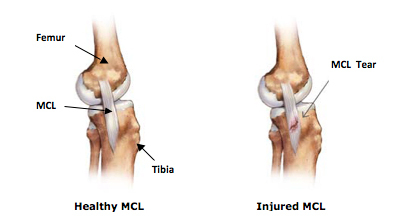 The MCL is more often injured than the LCL as injuries are often caused by a blow to the outer side of the knee, usually seen in contact sports, that stretches/tears the ligaments on the inner side of the knee. Symptoms of MCL and LCL tears often include pain, stiffness, swelling and tenderness along the inner or outer side of the knee. 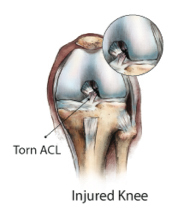 A torn meniscus usually occurs when the knee is rotating while it is bearing weight. This type of injury often occurs in field sports such as soccer and football. An injured or torn meniscus causes mild to severe pain depending upon the position of the leg and the extent of the tear. Swelling is common at the time of injury, but can develop much later. 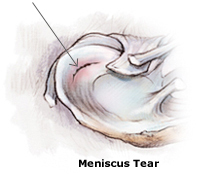 Many times, an injury to the meniscus causes a pop sound, or the knee may lock, or feel weak.